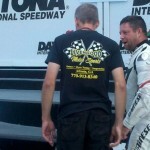 Congratulations to Jim Cohrs (5) and Mark Miller (777) with AWESOME results during the 2011 Race of Champions at Daytona! 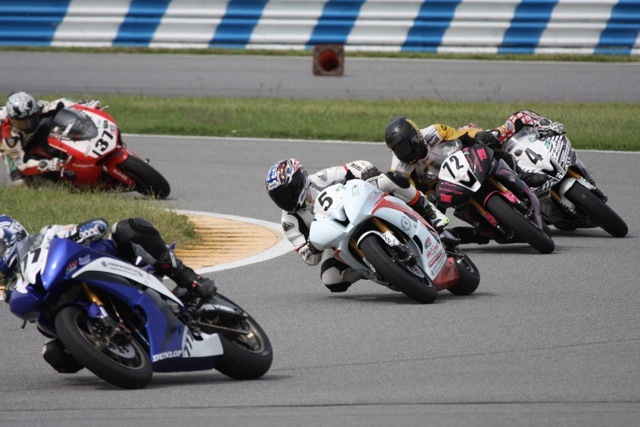 They rode their Livengood Motor Sports Yamaha R6 built Engines through the banks at Daytona International Speedway coming away with 3 National Championships! Expert GTU: Jim 1st, Mark 2nd. Expert Middleweight Grand Prix: Jim 1st, Mark 2nd. 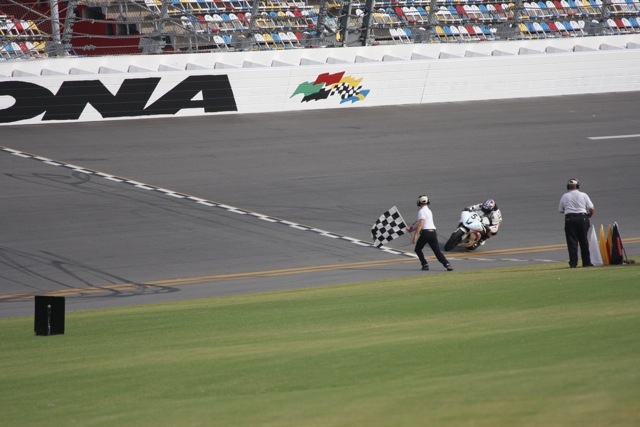 Expert Middleweight Superbike: Jim 2nd. Expert Heavyweight Superbike: Jim 1st. Expert Middleweight SuperSport: Jim 3rd, Mark 6th. 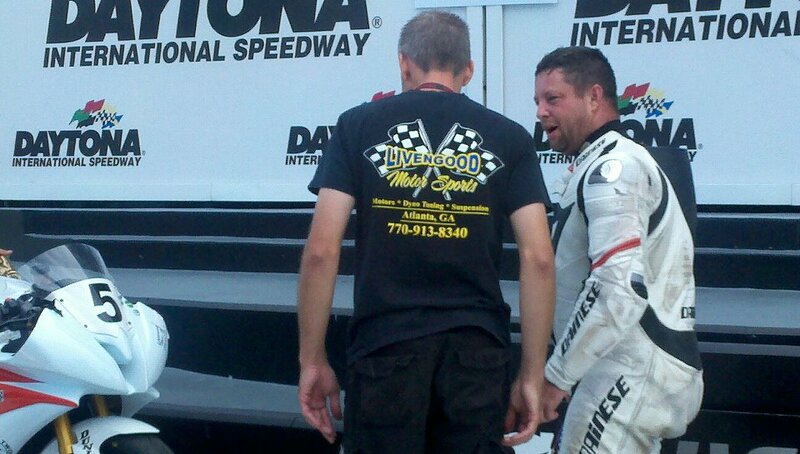 Expert Heavyweight SuperSport: Jim 2nd. Expert Formula 40: Jim 2nd.